Good or bad, the days of casually “wrenching” a car in your driveway are largely long gone. Today’s cars are incredibly complex and use highly sensitive computerized management systems that won’t tolerate “gearhead tinkering”. One error could compromise your vehicle and make it unreliable, or worse – unsafe. So how can you be sure your vehicle is getting properly serviced? 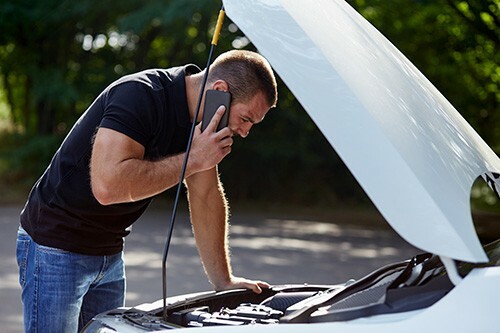 And a more commonly asked question is “how do I know I’m not being ripped off?” First, let’s take a look at the two most common philosophies used to keep a vehicle in service: Repairs versus Preventative Maintenance. The repair philosophy is very simple: when something breaks, you replace it. Penny pinchers love this method because they know their money is not being “wasted” on anything that doesn’t absolutely need to be replaced. But in the long run, it’s been shown that operating a vehicle – especially an older model – with nearly worn out components can be dicey. Obviously, if you attempt to squeeze every mile you can out of an old, and nearly worn out part, your vehicle’s braking, steering and handling can be severely compromised making it harder to control. Add inclement weather or snow and ice and you’re rolling the dice. The Preventative Maintenance philosophy is very different. In this case, parts are replaced as soon as they are no longer working optimally to prevent a failure. The goal is to keep your vehicle operating as safely and reliably as the day you took it home. It’s not about letting parts wear out 100%. It may not even allow for a part to be 50% worn out. The very moment that your vehicle stops being the car it was when you bought it, a part will be replaced. The repair strategy seems to suggest you are saving money, but the opposite is often true, especially if there is a catastrophic failure due to excessive wear or ageing. The preventative strategy can seem superfluous and expensive, but it’s the best way to ensure your safety. Ironically, both strategies have pros and cons and both types of mechanics have been attacked for being “careless” or “greedy”. So how do you take care of your car, your wallet and your peace of mind in equal parts? The only strategy that has ever worked year after year after year is to simply find a reputable mechanic or service centre that you can trust and… to trust them. It’s that simple. And remember: No reputable mechanic will jeopardize their license or career by trying to take advantage of a single customer. Talk to your service provider and build a relationship that values trust and communication. You’ll likely feel good every time you slip behind the wheel of your vehicle. The cheapest solution is never the best, and the most expensive is never the most popular. The best mechanics and service centres sit somewhere in the middle and will work hard to earn your trust so that you can enjoy peace of mind and come back to them again and again.